As moms, we make it our mission to provide everything necessary for our children’s development. 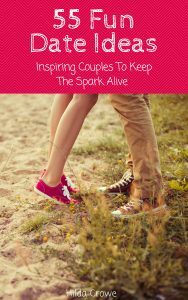 From the very first time when we saw that positive pregnancy test, our number one worry became caring for that life. And every mom knows that carrying the burden of responsibility is bittersweet. So many decisions and so much second-guessing, yet such a privilege to watch a human being grow. As my babies turned into toddlers, one of my concerns became the type of toys I chose for them to play with. I already knew that playing can be fun and educational at the same time, but how does that look in practice? How can they have fun and explore while at the same time learn about life or develop language and speech skills? What if I told you that carefree play and serious learning are both possible? After having 3 children, I finally figured out what are the best educational toys for 2 year olds! 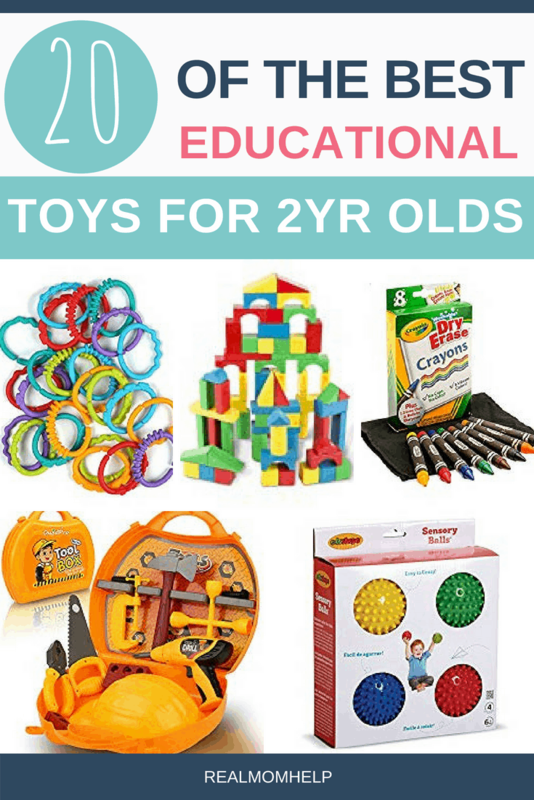 If you are looking for the perfect gift and wondering what are the best educational toys for 2 year olds out there, this list will help you choose. There are a lot of questions mom ask about baby milestones, but I found there are just as many, if not more, about toddler’s development. But there’s no need to overthink it. Ideally, children’s development socially and emotionally is a natural part of a healthy family and interaction with the world through play. 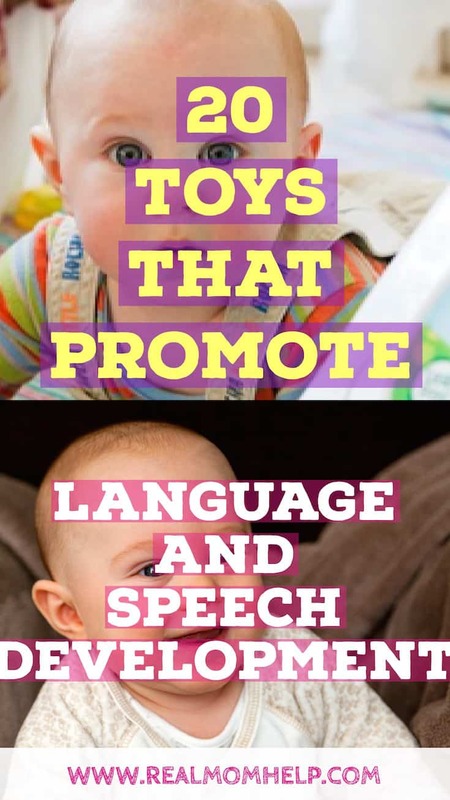 Toys are opportunities for play, for exploration, and for social interaction; an educational toy that promotes these will have a positive effect, but so will an everyday household object — if used in the right way. So relax, you don’t have to buy expensive speaking and moving toys, or even any toy whatsoever. A bowl and a wooden spoon can have just as much of a positive impact as a popular educational toy. The key here is “using it the right way”. Not all toys are created equal, and not even all educational toys will have the same impact on toddlers’ development. So what’s a parent to do? Choose open-ended toys. Open-ended toys are items that leave most of the interpretation and creativity up to the child. They don’t show them or tell them how to play, but rather let them have free reign. For example, a set of legos can be an open-ended toy, because a kid has pretty much endless options to build and there’s no wrong way to play. A noise making and talking, full-of-buttons toy, however, is usually playing instead of the child who is mostly just watching. I am not saying you can’t have a few of those toys or that they will make your kids mute and unsocialized. What I am saying is there are much better and simpler options from an educational viewpoint. Open-ended toys can be used at different ages and in a variety of ways, so you get much more out of them. The best educational toys will grow with your child, making them also very cost-effective. That study just proves that toys in and of themselves are not going to “do” anything magical and be educational. Children, quality toys, and parents have to work together in order to boost language, speech and other life skills. My list of the best learning toys for 2 year olds is about these open-ended, quality toys that you and your child can use together for fun and learning. This basic Melissa and Doug wooden blocks set is a classic and one of the best gifts for 2 year olds. There are endless possibilities for building and younger kids can safely chew them because the blocks are painted with non-toxic paint. What they learn: Children effortlessly learn shapes, colors, building skills and patience. It really doesn’t matter if you buy your toddler a small car from a second-hand store or buy this awesome Little Tykes Cozy Coupe. What they learn: Car washes, filling the “tank” up with gas or fixing a broken down car are all opportunities for learning new words, participate in a conversation and gather information about real life. This Fisher Price doctor kit is very simple, without a ton of accessories, which makes it my top choice out of the many options. What they learn: Not only will this kit help familiarize your toddler with new words, it will also aid in making doctors seem a lot less scary. A simple soft doll is all a toddler needs to begin, and yes, even boys are encouraged to play along. After all, aren’t they likely to be dads one day? Manhattan Toys Baby Stella Doll comes with minimal accessories, several styles, and a few different price levels, making it one of the best baby dolls for a 2 year old. This IKEA doll bed is a simple addition to the doll. What they learn: Kids learn all about bedtime routines, taking care of a baby, and they may also get a clue about how they should be going to bed. A play kitchen and foods are, arguably, the best educational toys for 2 year olds. Toddlers will create a toy kitchen out of furniture or boxes, so don’t feel pressured to buy the latest and the greatest. If you want to purchase a kitchen that will last for many years, consider this KidKraft Vintage kitchen. It’s the perfect size for toddlers and older kids and while having plenty of storage space and buttons, it is not too overwhelming. We tried a few different toy foods and there are many great ones, but my kids really liked this IKEA veggie basket and fruit basket. What they learn: names of fruits, vegetables and cooking utensil, how to set a table and practice what they saw from adults such as washing dishes, using a microwave or bake in the oven. A classic Duplo set is another great tool for creating an enriching environment. There are several themed sets too, such as this farm set or this playhouse one. I really don’t think you can go wrong. We have had a set of nesting cups with each of my children and they loved it. A homemade version of this toy is different sized containers that fit into each other. What they learn: spatial concepts (under, on, in, etc. ), describing sizes and colors, fitting the pieces together. A top favorite toy at our house and absolutely worth every penny are these building magnets. This award-winning toy can be used in so many ways! My kids love building a garage for their trains and cars, a house for their small dolls or use them as torpedoes and colorful kaleidoscopes. And because they have no small parts, even babies can touch and mouth them, making it a perfect toy for all siblings to share. What they learn: how magnets work, building skills, colors and shapes, creativity. Low on the mess, high on fun, dry erase crayons claim to be a kid and adult favorite. This is something I have yet to test, but I have high expectations based on the reviews! Don’t forget the dry erase board to go with them. What they learn: drawing and coloring in line, fine motor skills, colors, the correct way to hold a pencil. An item that seems a little costly at first, but play silks are surprisingly versatile and durable. Here’s the link to a less expensive, but still great option. Play Silks are good for whatever your child thinks they are good for. And trust me, they will have ideas you would never have guessed. What they learn: They can be used for dressing up, cooking, wrapping dolls, playing peek-a-boo and much more. Presented with thicker or rougher materials, your child can also learn about different textures and their names. We have this Melissa and Doug Fold-and-go stable at home, but if I could start again, I would buy this one from Target. Schleich animals are quality made and very realistic, I highly recommend them! The link will take you to a starter set, but you can pick and choose hundreds of different animals besides those. What they learn: all about animals and how to take care of them, counting, sorting. There are way too many to choose from, but Matchbox cars are the most durable miniature cars out there. The various vehicles, colors and details make them one of the best learning toys for toddlers. What they learn: all about cars and vehicles, traffic, driving, work vehicles and construction zones, various occupations. This toolbox is among the very best gifts for 2 year old boys. The life-like tools are every little boys’ dream and they can hammer away to their heart’s content. This toy will not only create an opportunity to teach language skills, it will also involve dads. After all, they are great at teaching too, let’s not forget them! What they learn: names for tools and how to use them, how to fix things, pretend play. Many may not think of books as toys, but I included them in this list because of the incredible fun and benefits they present. I can’t imagine life without books and every child should have at least a small library at home. 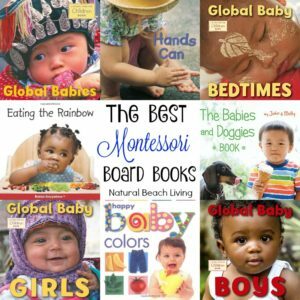 If you are wondering what are the best books for toddlers, here’s a good list. What they learn: literacy skills, language and speech skills, love of books and enjoyment of learning, and really whatever your heart desires you can teach them through books. Small stainless steel bowls have been one of my kids’ favorite non-toy toys. This just proves that almost anything can be used as an educational toy. What they learn: The bowls can be used for hiding things under them or sorting, they make a great noise as a drum and of course, very handy in the play kitchen. It’s no accident that balls are always included among the best educational toys for 2 year olds. So basic, right? Just like with Duplos, it does not really matter what type of ball you provide for your toddler, the point is to make a few available. This sensory balls set looks pretty good, we have something similar that all of my kids have played with. What they learn: gross motor skills (throwing, balancing, rolling), textures and colors, playing together. What they learn: textures, colors, sorting, fine motor skills, pretend play. We bought a second-hand train set for my son when he was 2. He loved it ever since. Orbrium’s train set seems very well made and compatible with extension packs or other train sets. The trains connect through magnets and the wooden rail pieces are easy to fit together. What they learn: all about trains, building skills and logical thinking. The Melissa and Doug Ice Cream Set is magnetic, which makes “scooping ice cream” easy even for toddlers. There are 4 different flavors in the box and kids can stack them on top of each other to make double or triple scoops. What they learn: language skills as they interact with “customers”, fine motor skills. This play tunnel is durable, easy to fold and store. A great way to bring some fun indoors when the weather is cold. Peek-a-boo, hide and seek or hiding and finding objects are just a few ideas you can use this open-ended toy for! What they learn: exercising, language skills (inside, outside, etc. ), pretend play. Like what you read? Please share with your friends!